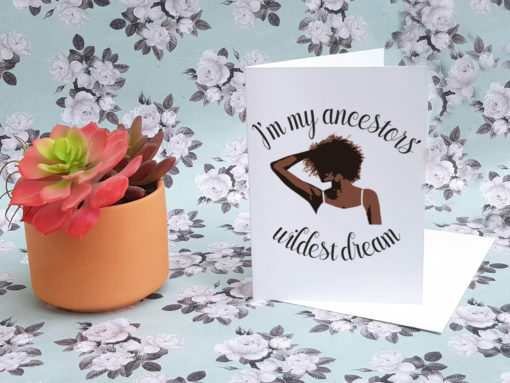 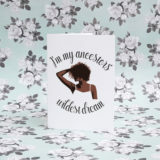 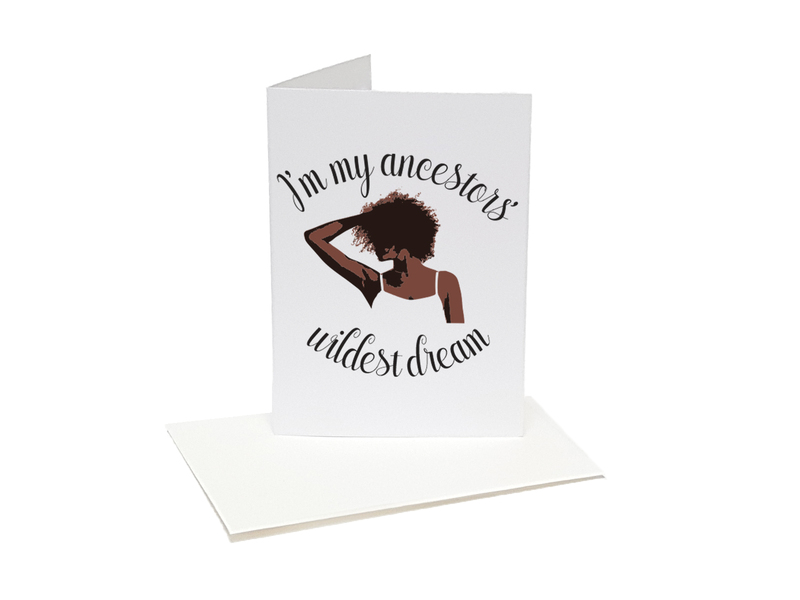 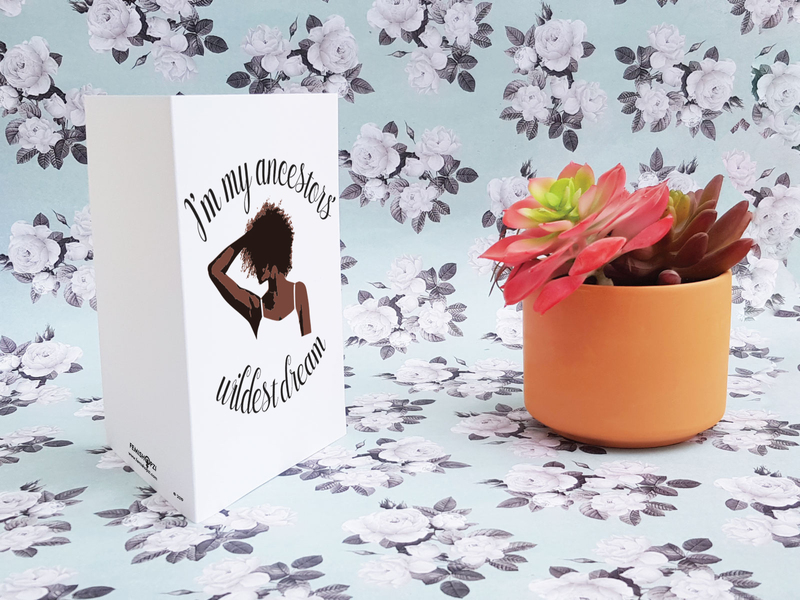 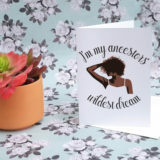 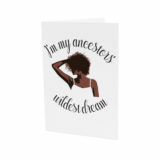 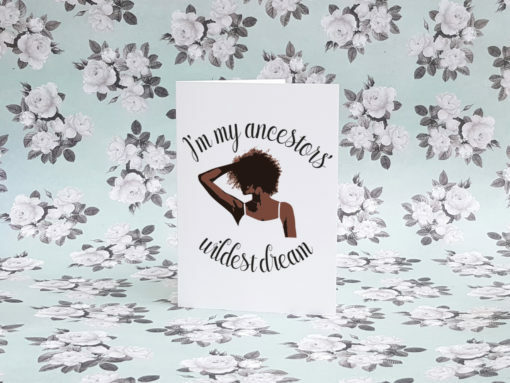 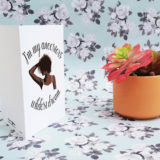 Our “I’m my Ancestors’ Wildest Dream Greeting Card” is the perfect gift companion for a woman of color who is proud of her roots. Great for birthdays, Black History Month, Women’s International Day, Martin Luther King’s day, Christmas, graduations, anniversaries, or just because, our “I’m my Ancestors’ Wildest Dream Greeting Card” is guaranteed to make an impression. Measuring 5 x 7 inches, we print our cards on thick (and extra smooth!) 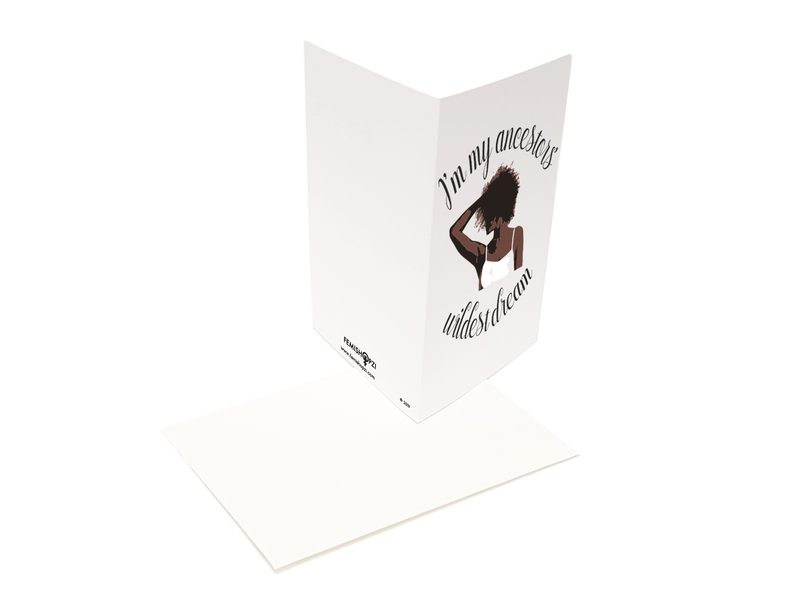 professional-grade card matte paper in our studio in Norman, OK. Every card is sent inside a resealable clear bag together with a linen beige envelope. 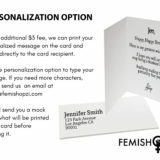 We are proud to use rigid flat mailers for shipping in order to make sure your card will arrive intact to its destination. 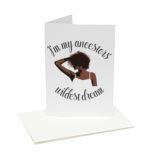 Our standard shipping method is USPS First Class, so please expect our cards to arrive within 3-4 business days. 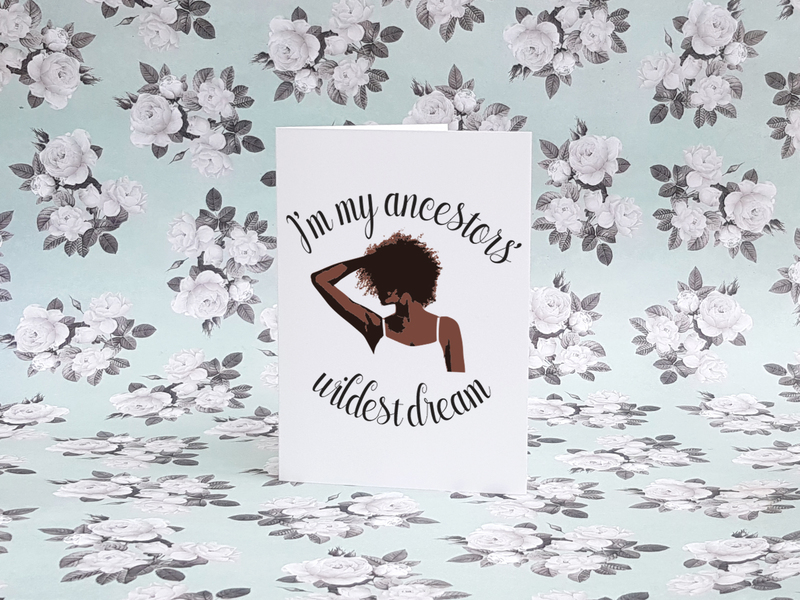 (Please contact us for additional shipping options).